Grip-Tight Cachet(R) Q3 functionality allows seat to close quietly and quickly unlatch from the toilet for easy removal and convenient cleaning. Adair 1-Piece Elongated 1.28 Gpf Toilet in White An excellent value, the Adair toilet features a striking organic design inspired by the windswept rock formations of Sedona, Arizona. A slim tank and pared-down oval forms make this compact, high-efficiency toilet perfect for smaller spaces. A 1.28-gallon flush provides significant water savings of up to 16,500 gallons per year, compared to a 3.5-gallon toilet, without sacrificing performance. 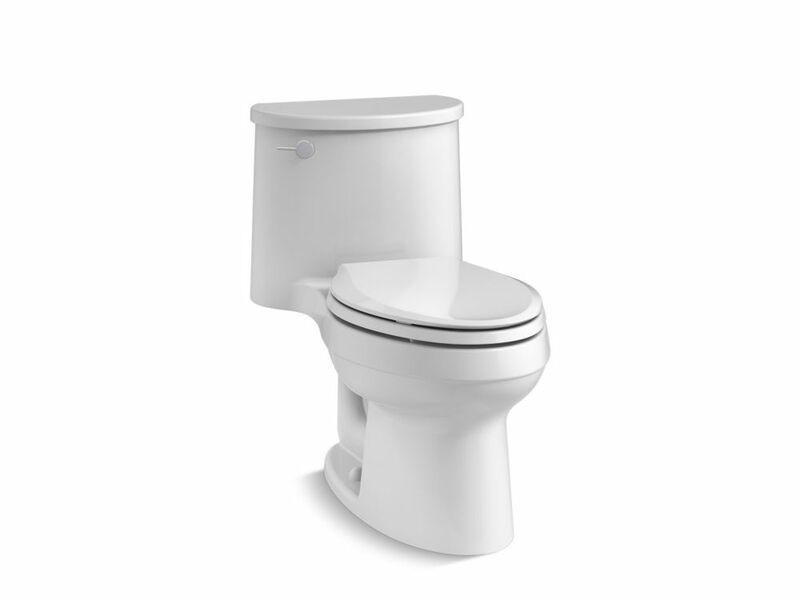 Adair 1-Piece Elongated 1.28 Gpf Toilet in White is rated 1.0 out of 5 by 1. Rated 1 out of 5 by Dan from Water keeps running will not stop after just installed.... Water keeps running will not stop after just installed.